KS: This car is chopped five inches, channelled five inches. 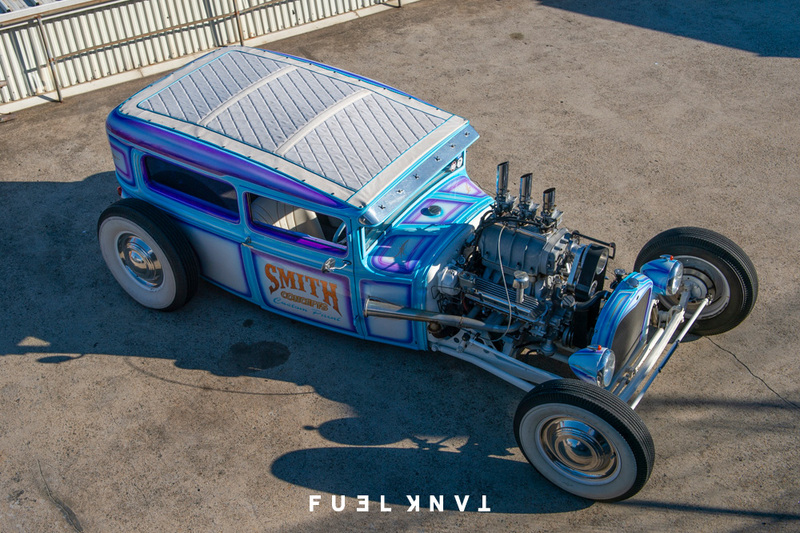 It runs a 308 Holden engine with a 671 blower., Aussie Speed manifold. T5 five-speed gearbox, Borg Warner rear end. It's a nice car to drive, despite how heavily modified it is. 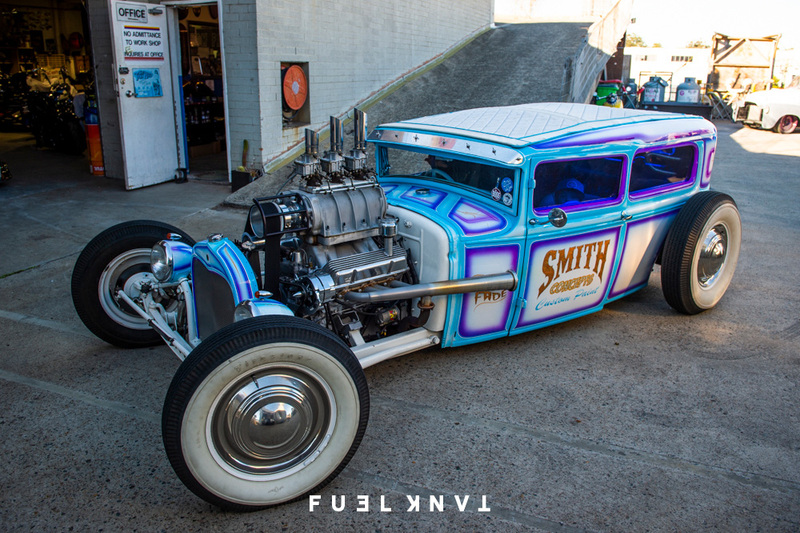 Webby from Webby's Speedshop in Newcastle, New South Wales built the car. I set about personalising the car, making it my own by setting myself a 30-day challenge to get the car painted for The 2017 Boogaloo Invitational, 900 km from Sydney in Castlemaine, Victoria. I finished it in three weeks. The project was sponsored by DNA paints and the release of the car was the 2017 Boogaloo Invitational. I drove the car for the trip and back, totalling 1,800km. The car didn't miss a beat the whole time.